Good news for Canada Express Entry Program. This is Michael Niren, immigration lawyer and founder of VisaPlace.com. You don’t often hear me say good news when I speak about Canadian immigration law. Over the last few years, it has been harder and harder to qualify for immigration to Canada and to United States, but under the Express Entry Program, I am optimistic because it’s what I will consider an open system. And what I mean by that is virtually anybody can apply unlike in the past where you needed, for example, an occupation on a government occupation list or you needed certain level of education. Under the Express Entry Program anybody can submit their profile and be considered for immigration. How it works is that you will be put in a pool of applicants and then the government will select the best applications it considers for immigration. Now, there are some criteria that they use but generally speaking anybody can submit their profile and potentially be selected. So this is really good news. Now of course if you have a job offer lined up, you are likely in a better position to qualify but it doesn’t mean that you won’t be selected if you don’t have a job offer. So this is really encouraging and as an immigration lawyer, our job now becomes to highlight and emphasize the best qualities of our applicants to try to convince the government that they would make good candidates for immigration and to be selected. So this is to me really good news. 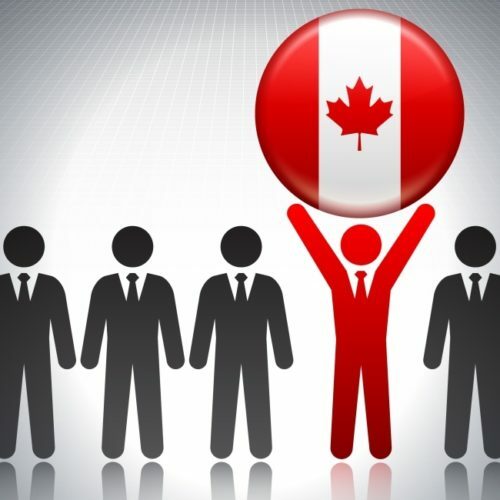 A lot of people can contribute to the Canadian economy, can make an impact, who would otherwise not necessarily be considered under the old system. So this is something that, as I said, I consider good news and I am looking forward to helping people process applications through the new Express Entry System. So, hopefully this has given you hope as well and don’t be discouraged. So, if you like this video, click “Like” and visit us at www.VisaPlace.com. The most important aspect of the Express Entry program is to get an invitation to apply for permanent residence. Our job is to make you STAND OUT from the crowd. We will assess your case, highlight the best aspects of your application, and make sure that the government notices you! I am a Canadian Citizen born and raised here in Toronto. However, I am married to a wonderful Man from The USA who is a US Citizen and would like to immigrate to Canada through Express Entry providing this is a lot quicker then for us to do the Spousal Sponsorship? and become a permanent resident here in Canada. He has no job offers here in Canada as they the company’s he has applied to said that he must be a resident first. Also question becomes this. If my husband and I were to do the Express Entry how long would this take and what is the cost? Also if we did this Express Entry Program and this should not work out for him as he has not been selected for this program could we still go ahead and do the Spousal Sponsorship? Or would it be just best for us to just carry on with the Sponsorship?